The Kansas City Aquarium offers a fun, educational way to spend an afternoon. If you're looking for a place you can take your kids when it's too hot or cold to be outside, the aquarium provides an exciting place you can go to learn about sea life and underwater creatures. 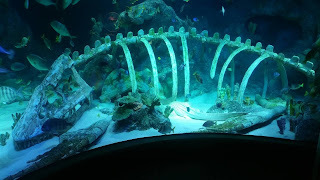 Sea Life Kansas City Aquarium is located at Crown Center in the same building as LegoLand, so make sure you check out my review on LegoLand for specific parking and ticketing information. The biggest thing to remember is that getting to SeaLife is very easy. We don't live nearby, but had no problem locating Crown Center and finding parking. Once inside the aquarium, you're free to walk around and explore. 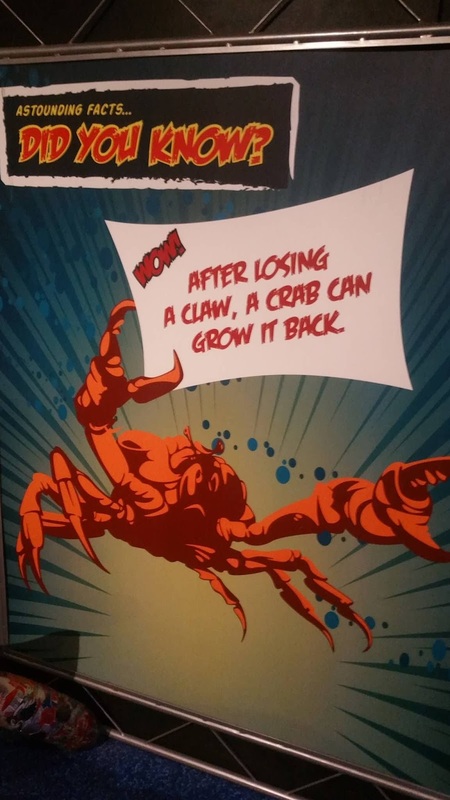 There are signs throughout the aquarium that offer fun and interesting facts about the creatures. There are also shows and educational talks you can listen to. 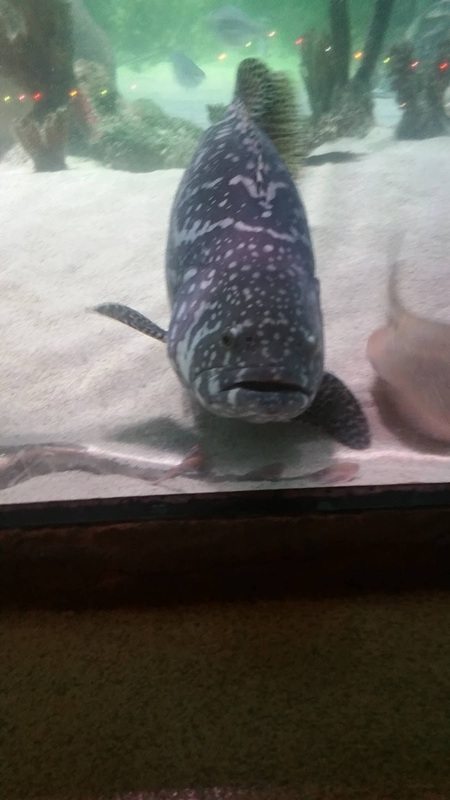 We missed those, but did have a chance to talk with several employees during feeding time for the fish and sea creatures, which was really fun. We learned all about how the diets for each fish are planned. 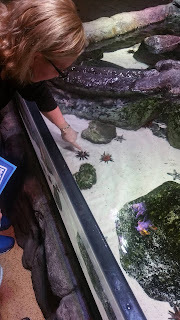 There are also a couple of places where you can touch star fish, crabs, and sea urchins! Additionally, there's an entire room that's wide open for kids to play in. There's a Lego castle where kids can add and build their own Lego creations and add them to the castle. There's also a space where you can crawl through a little tunnel and watch the fish from below. My favorite part about visiting the Sea Life Kansas City Aquarium was learning about different underwater creatures. My family and I have been to many aquariums throughout the US, and we love to see how each center has different creatures and fun facts. I also have to point out that the staff members were super nice and friendly to us. Each person we encountered was very helpful and offered interesting information we didn't know before. I also loved that there are several places in the aquarium where you can stop and rest if you need to. 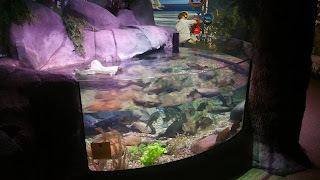 For moms that have small children who are nursing, this makes it easy to feed your baby while you're at the aquarium. Seniors may also appreciate that there are places where they can sit and rest on their journey through the aquarium and won't have to stand and walk the entire journey. Plan to spend at least two hours at the aquarium if you go! There's plenty to see and a lot to learn. Have you been to this aquarium? What did you like best? Please note: I was provided tickets to Sea Life in exchange for a fair and honest review. I was not paid or otherwise compensated for my review. Opinions and pictures are my own.